Summer is coming and that means we can have fun learning outside with Summer STEM Activities! Here is a list of our ten favorite outdoor STEM activity ideas. Enjoy! 1. Plant a salad garden. Grow lettuce, cucumbers, and tomatoes in your garden, raised container, or in separate pots, and make your own fresh salad! Top it off with your own homemade salad dressing. 2. Create a fairy garden. Use your imagination to make an enchanting miniature world for fairies (or gnomes)! 3. Set up a lemonade stand. Collect money for your favorite charity (but make sure your community doesn’t require a permit). 4. Build a solar oven. Cooking with sunlight doesn’t require fuel, it doesn’t produce smoke, it doesn’t leave ashes, it doesn’t cause a fire hazard, and it doesn’t heat up the kitchen. 5. Hunt for rocks, fossils, shells, or other items of interest. This can be done on a family hike, camping trip, beach day, or nature walk. Use a field guide or the internet to try and identify them. 6. Launch a rocket. Want to explore the universe? Get a head start with these DIY rocket projects and build your own! 7. Go star gazing. Sky Map, built by a team of amateur astronomers who work at Google, helps Android users locate stars and planets in the night sky. NASA also provides a fun way to locate the International Space Station with its Spot The Station website. And don’t forget the Perseid meteor shower in August! 8. Design a backyard wildlife habitat. It’s easy to create a habitat that will attract and support a variety of desired wildlife. 9. Take up photography. Preserve special memories or focus on a certain theme such as flowers, sunsets, your favorite color, etc. Click here for summer photography ideas. 10. Think like a scientist. Develop a STEM lesson, perform an experiment, make a video of your explorations, keep a weather log or nature journal. Remember, good record-keeping is central to the scientific process. 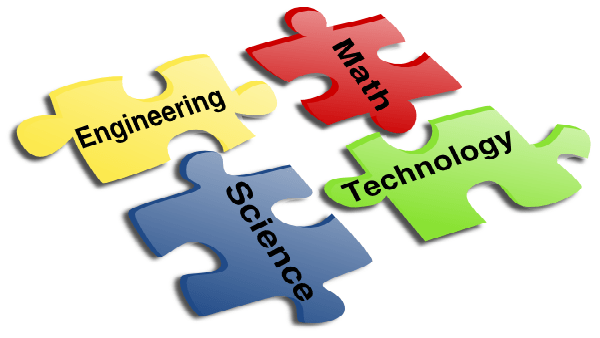 What STEM activities are you doing this summer? Let us know in the comments! Or write to us about it at and we’ll feature your summer project in a future issue!